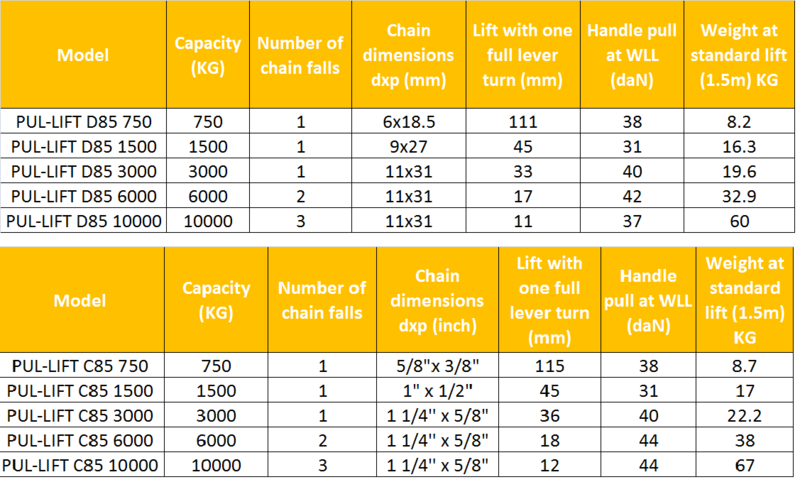 Here are the D85 lever hoist /Pull lift and the C85 Pull lift details. 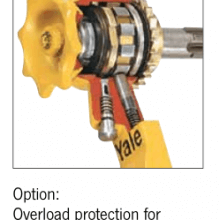 These are the Original Yale ratchet lever hoists known as the Pul-lift, available in lifting capacities up to 10000kg. 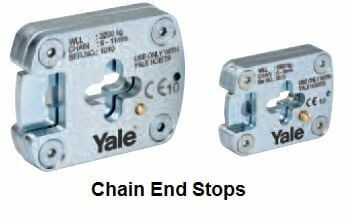 The Yale D85 pull lift is the original Yale ratchet lever hoist. 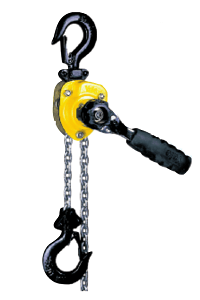 It is the only lever hoist which can be referred to as a pul-lift. 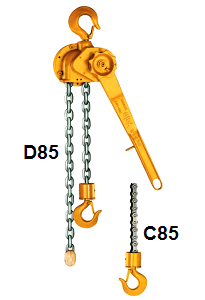 There are 2 models here, essentially the same other than the D85 has a link chain and the C85 has a roller chain. The robust construction of these lever hoists / pull lifts include the hand lever, lower block and housing which are all manufactured from high tensile white malleable cast iron. The load sheave is made from graphite cast iron. Due to the ruggedness of the materials used during the manufacturing process the D85 lever hoist / pull lift is perfectly suited to heavy duty applications. 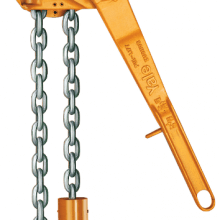 It is ideal for pipe setting, securing loads and spotting for example. The D85 lever hoist is commonly used in mining, fabrication work, ship building, construction and maintenance as well as in the rail industry. The malleable cast iron housing cover is enclosed to provide added protection. 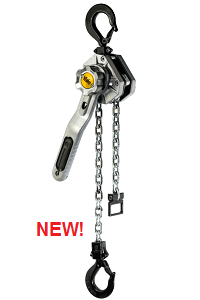 The graphite cast iron load sheave has been precision machined with pockets for the chain to ensure the chain locates correctly and precisely on each and every movement, the accuracy of the fit ensures durability of the load chain. The Yale C85 with the roller chain is perfect for use in overhead line work and is commonly utilised throughout the electricity supply industry. 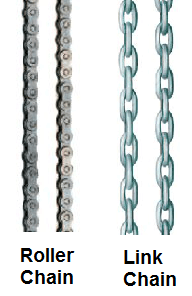 The roller chain sprocket has been manufactured from chromium molybdenum steel and heat treated. The teeth have been precision machined so you can be assured of smooth operation. Both the D85 lever hoist /Pull lift and the Yale C85 are available with lifting capacities up to 10000kg and can be equipped with a couple of optional extras. 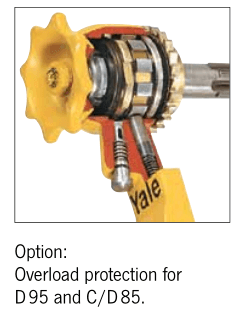 A factory pre-set slip clutch can be added to provide overload protection. Free chaining systems can also be added as an optional extra. For the D85 we can also supply adjustable end stops for the chain if needed. Please notify us at the time of ordering if you require any of these extras.